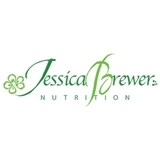 Jessica Brewer Nutrition (New York) - Book Appointment Online! I loved that she texted me ahead of time to remind me of the appointment. She was very knowledgeable and understanding of my situation. She shared great recommendations which I am now able to implement and have a strong start. I'm really excited to get started and appreciate how candid she was about my struggles.